This original spiral staircase - a futuristic element, designed by Czech architects studio EDIT! 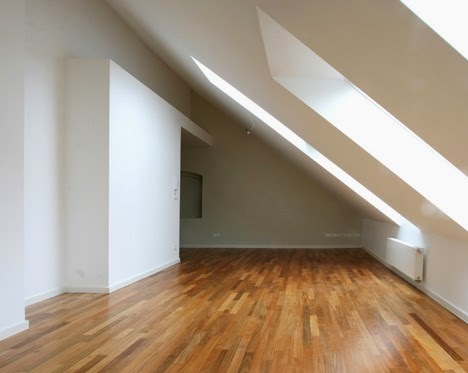 , to combine two adjacent apartments, located in Prague's Karlin. 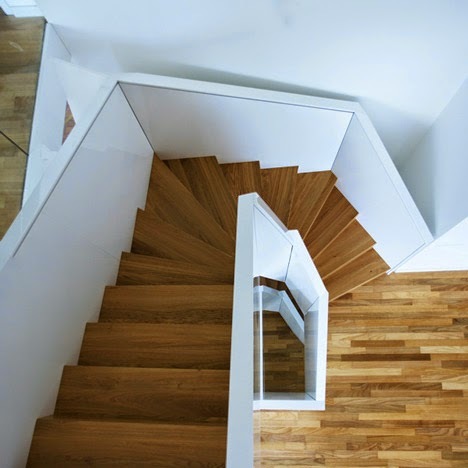 Unusual staircase has steps made ​​of oak and glossy white framed panels that reflect and refract light throughout the three floors of the new dwelling. Task of architects, as has been said, was to combine two apartments into one living space for a large family. In addition, according to the architects, clients want to become a new central staircase visual element of a new apartment. At the same time, the authors were limited by the size of the interior of the existing holes in the floor slab. As a result of the design process, the architects came to the spiral shape, broken into fragments straight. Thus, in a difficult baseline was achieved the desired vertical rotation. 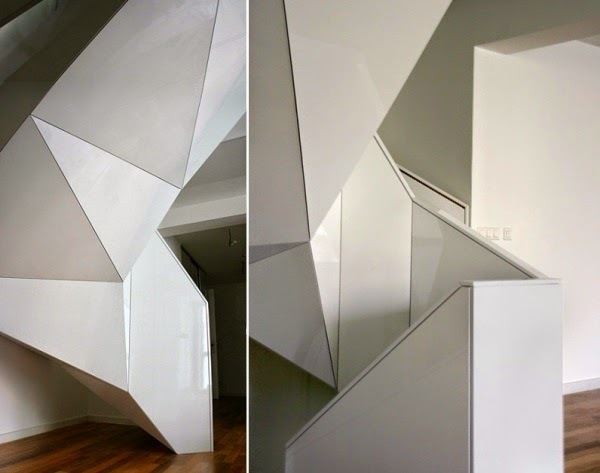 Also, the stairs got an unexpected and spectacular sculptural form, which in form and color is in direct association with modern interiors and Japanese art of origami. This current trend perfectly with the minimalist design of the apartment. Due to the unusual visual and constructive decision ladder becomes the dominant element unobtrusively new home. 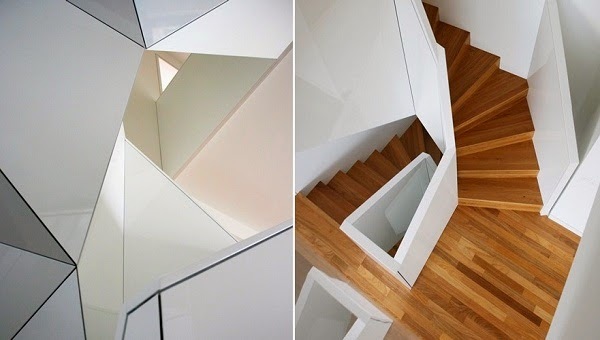 Offering attractive views from different points of view on each floor, staircase reflects and refracts light. 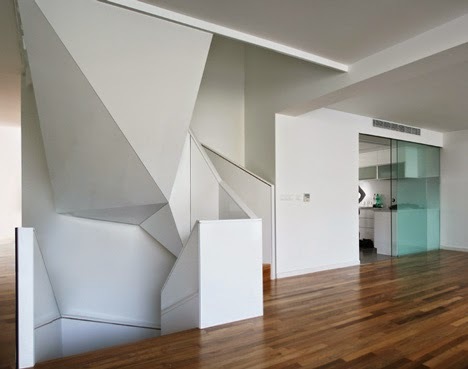 This surprising effect is made possible thanks to the white gloss panels made of MDF. Stage, contrasting with painted white panels continue the theme of wooden flooring, the architects selected as a floor covering.